You’ve got the holiday spirit, but what you don’t have is time. Check out these 3-Ingredient Holiday Cookies & Candy perfect for bringing to a holiday party or potluck, wrapping up to give as gifts, or just leaving out for Santa. All these recipes let you enjoy some baking or creating time (either by yourself or with the family) while keeping it simple. That leaves more time to eat and relax! Reading this post brought back memories of making these with my mom so many years ago. 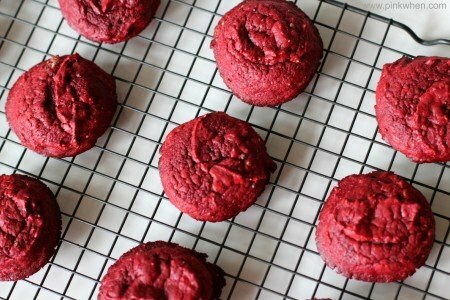 These easy cookies are so good! Use a cookie mix but make brownies with the perfect holiday flavor of gingerbread. So simple, but so flavorful. 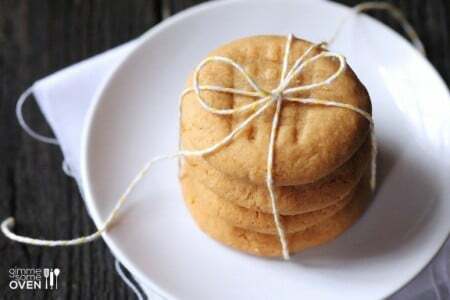 Remember those tins of shortbread cookies from decades ago? 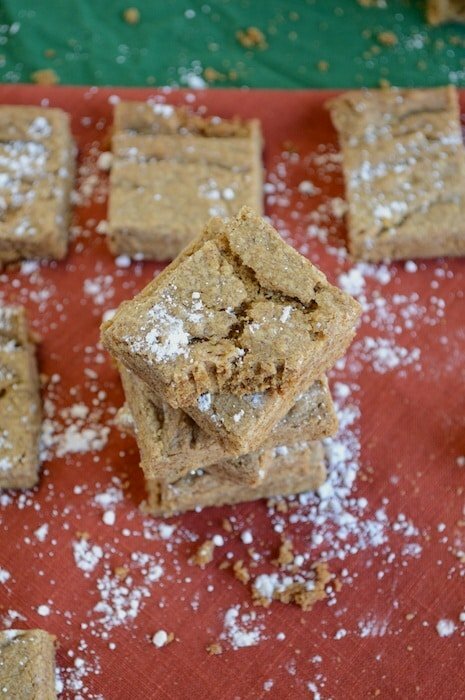 These are easy to make and taste SO much better. 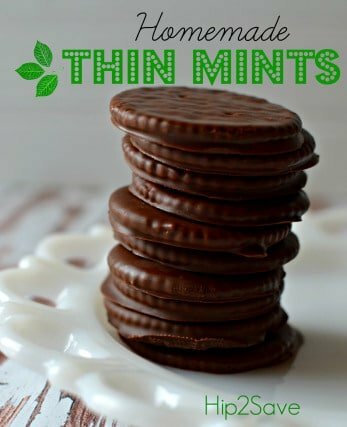 If you’re a thin mint addict and don’t have Girl Scout cookies packed away in your freezer for the winter months, these copycat cookies will fulfill your craving. You won’t believe the secret ingredient! 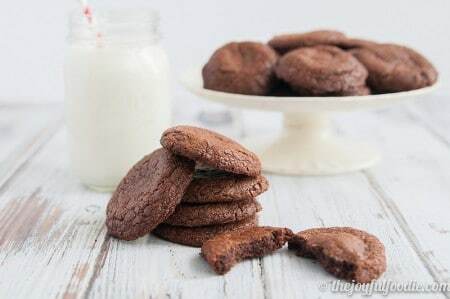 These cookies are gluten-free and a great addition to a cookie swap with their mature flavor and fudgy texture. 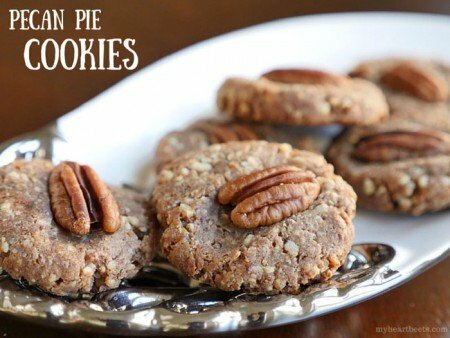 This recipe is also naturally gluten-free and an amazing mix of pecans, dates and maple syrup–a sophisticated flavor attained in very little time. We very rarely get to make peanut butter cookies because of my son’s allergy, but every time he’s at a sleepover, it’s our big splurge! These are super quick and taste amazing. 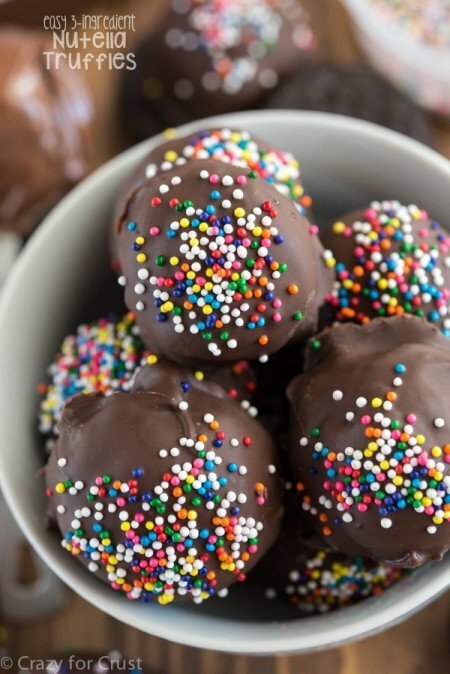 If you haven’t tried making Oreo Truffles, they’re so easy (and the kids love to lick their fingers afterward). I like this variation because I love minty chocolate, but any type of Oreos will work. 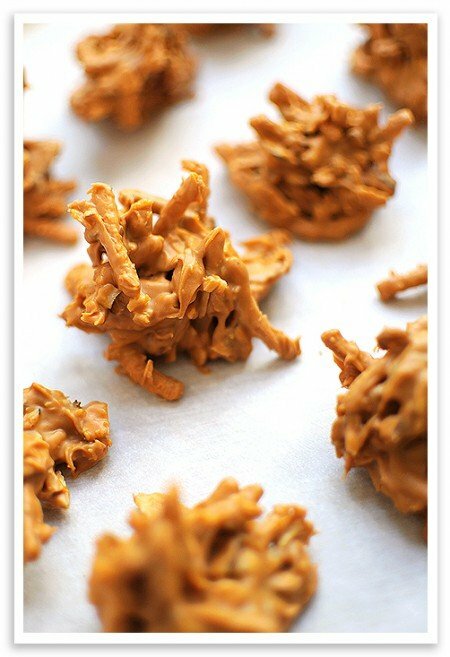 These crunchy butterscotch treats are a big favorite in our house, as my mother-in-law used to make them every Christmas Eve for our appetizers & desserts festival. 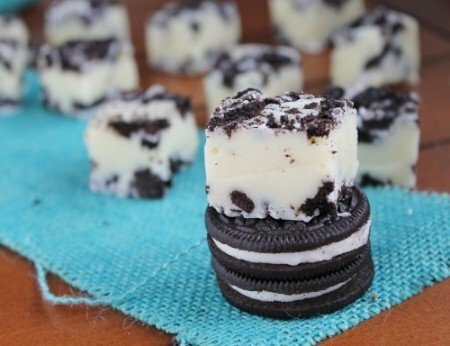 Because you can never get enough Oreo goodness, this easy fudge is a decadent treat that makes a great gift as well. 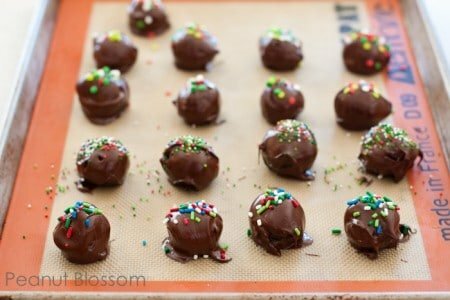 These truffles are kicked up a notch with the combo of Oreo cookies (for the crumbs) and Nutella spread (hazelnut flavor). Make an elegant gift by wrapping up a few in a pretty way (if you don’t eat them all first). 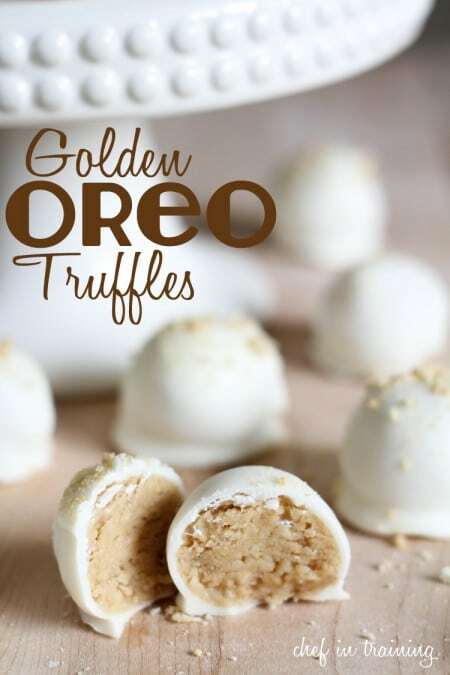 My family is excited to make these this year, since we’ve long declared the Golden Oreos our favorite over the traditional (crazy, right?). I’ve had these at a party, and oh my. 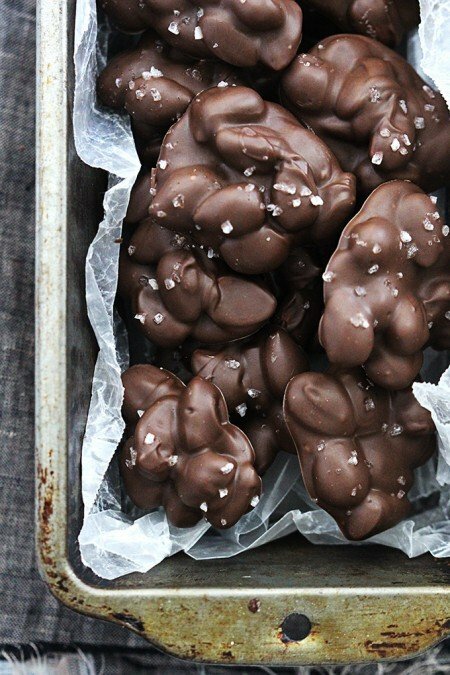 They’re simple, but the three flavors of chocolate, almonds and sea salt are meant to be together. This recipe is extra fast because you use the microwave. I’m counting this as a 3-ingredient recipe because the chocolate drizzled on top is “extra,” though I’d deem it necessary. 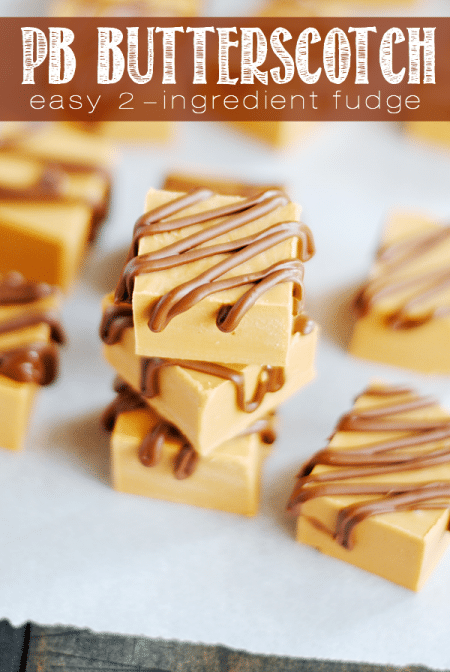 Chocolate and peanut butter AND butterscotch? Heavenly. Looking for more holiday inspiration? Check out my Sweets & Treats Pinterest Board. Linked up to Foodie Friends Friday at Walking on Sunshine, Kitchen Fun Crafty Friday at Kitchen Fun with my 3 Sons, Creativity Unleashed at Shaken Together Life, This is How We Roll Thursday at Wondermom Wannabe, Wow Me Wednesday at Ginger Snap Crafts, Creative Muster Party at Fluster Buster, The Inspiration Board at homework, Brag About It at VMG206, Share It Link Party at The Winthrop Chronicles, Handmade Tuesdays at Ladybug Blessings, Tasty Tuesday at CreativeKKids, Inspiration Monday at I Should be Mopping the Floor, Inspire Me Monday at Simple Life of a Fire Wife, Monday Funday at That’s What Che Said, Busy Monday from A Pinch of Joy, Melt in Your Mouth Monday at Make Ahead Meals for Busy Moms, and Motivation Monday at A Life in Balance. Thanks for including my fudge! What a great list of easy recipes. YUMMY! Thanks for this list I love it when things are simple and delicious! 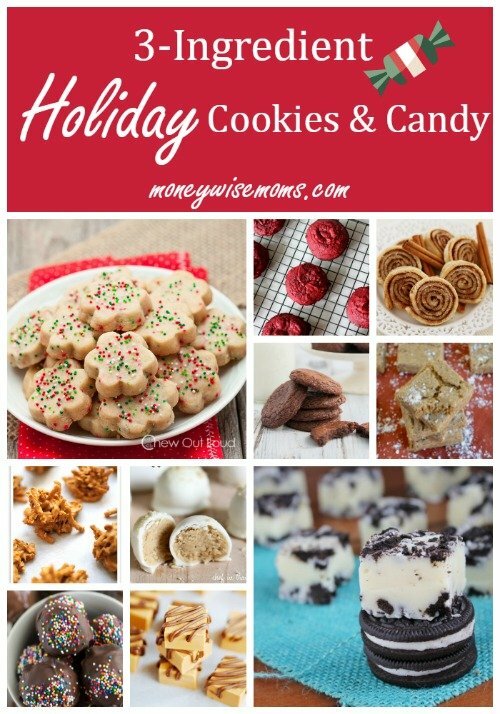 What a wonderful list of delicious looking goodies!! We will have to use a few of them this year when we make goodies for our friends, families, and neighbors this year. The less ingredients needed makes our baking weekend so much easier!! Have a blessed week!! 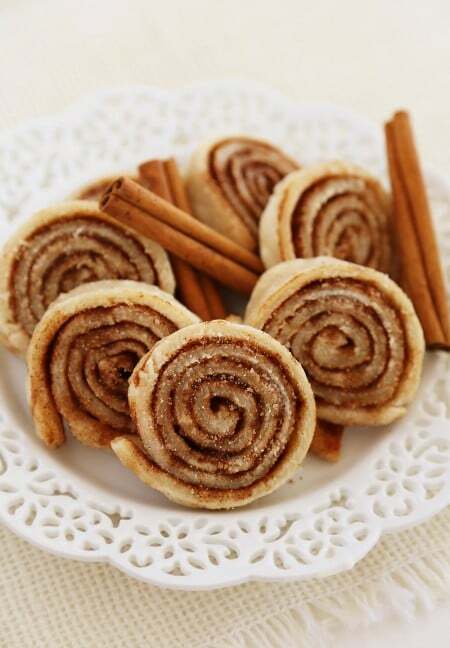 I am looking forward to making the cinnamon sugar pie crust cookies. I don’t do home made pie crust, so I was glad you mentioned using store bought dough. 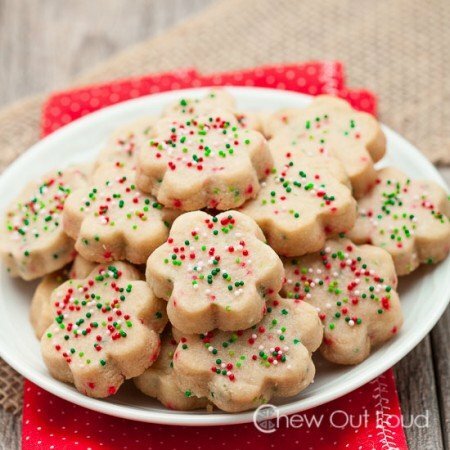 I have a Christmas cookie exchange in a week – these are going on the list. More than a few of these look so tempting! Just found out today about a cookie sale I need to bake for. I am going to have to try some. Thanks for sharing! This is the perfect holiday recipe list! I had no idea you could make such wonderful things with so few ingredients. I have a new baking list now. Thanks! I’m ready for some more cooking making! Need to add a few of these to my list. Nice roundup.